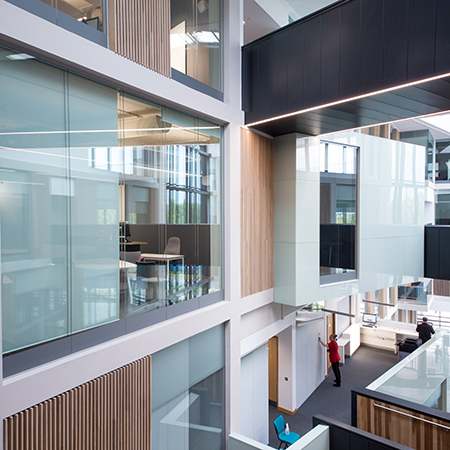 Lusso has provided a frameless double glazed system for the impressive £50m Business School for the University of the West of England. 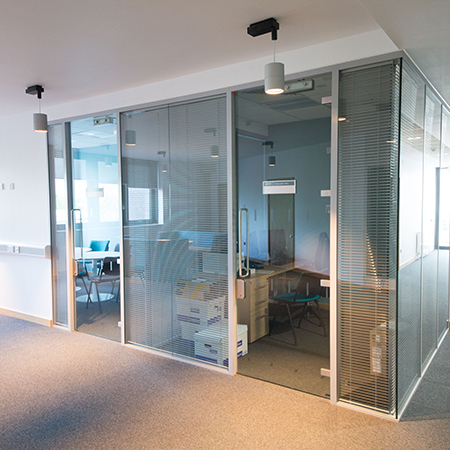 The vision behind the design of the building was around transparency, visibility and collaboration. 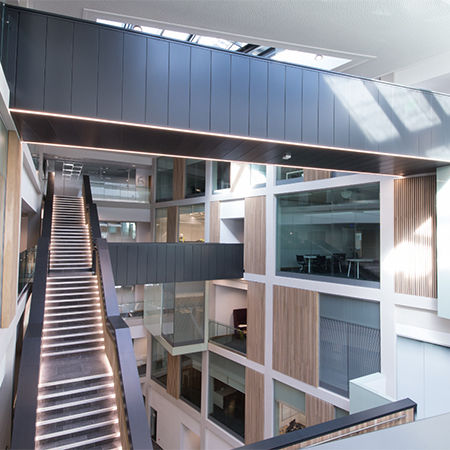 The 17,000 square metre iconic building, which spans seven floors, includes large areas of collaborative space for students, visitors and staff to meet. 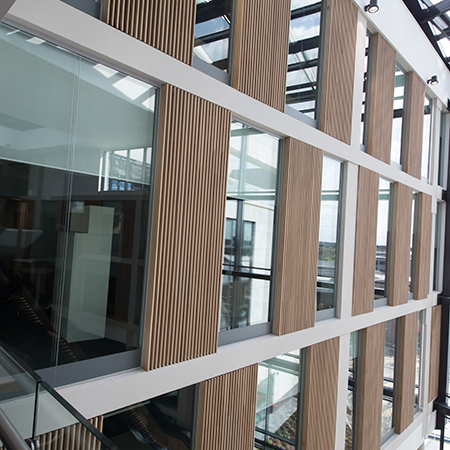 Circulation around the Bristol Business school is obvious and highly visible from the huge five storey atrium where Lusso installed their frameless double glazed 105 system. The system needed to be designed for imposed line load and potential wind load within the space. 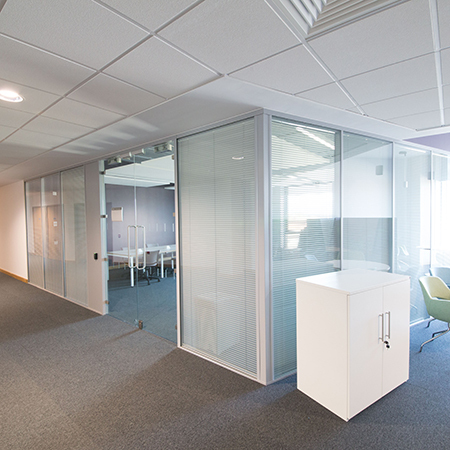 The glazed atria forms the heart of the building and incorporates a variety of social learning and meeting spaces. 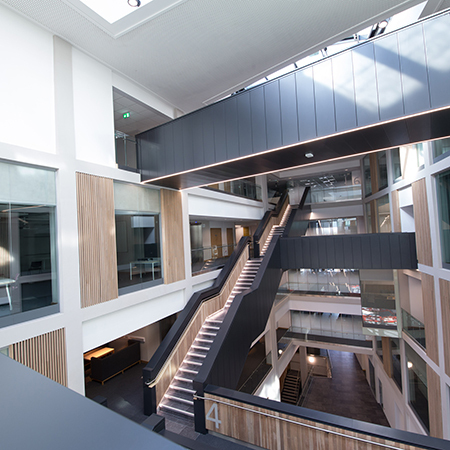 Features of the building also include two law courts, a city trading room, a 300-seat tiered double-height lecture theatre, two Havard lecture theatres, technology enhanced and flexible learning spaces, IT suites, and meeting facilities. 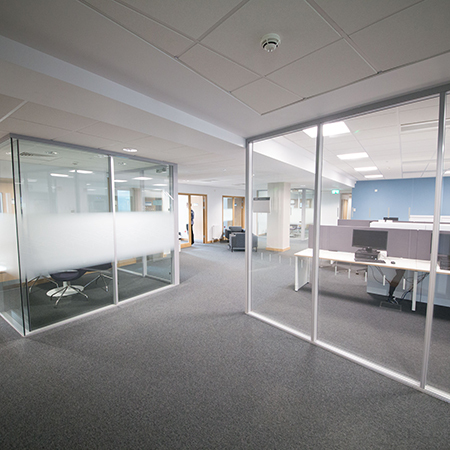 Throughout these areas, Lusso installed their 105 framed system which complimented the atria screens. Where there was a requirement for integral blinds Lusso made use of the slim 'ghost post' mullions to incorporate the control mechanism. 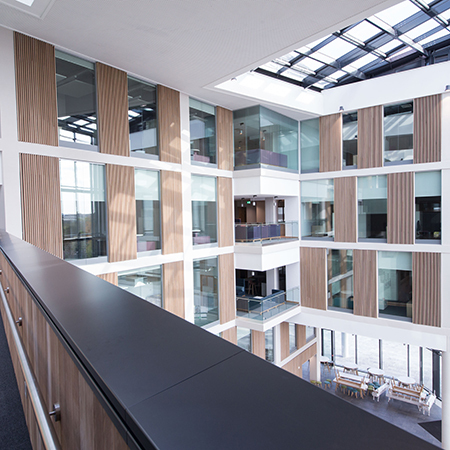 The project was delivered to Building Information Modelling (BIM) Level 2 maturity, for which it was awarded the Constructing Excellence South West Build Environment Award 2016 and also won gold in the Considerate Constructors Scheme 2017.